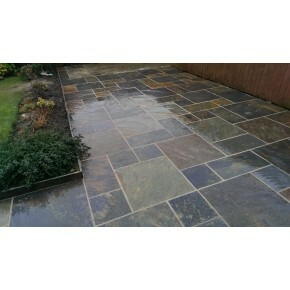 Riven Finish Paving - Colours There are 45 products. 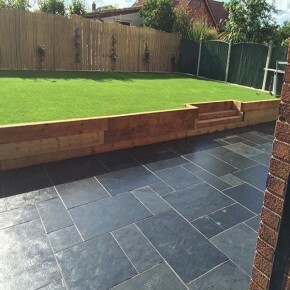 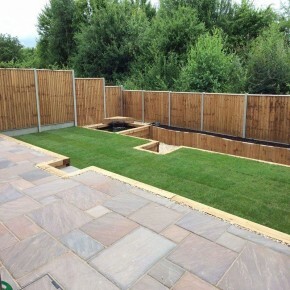 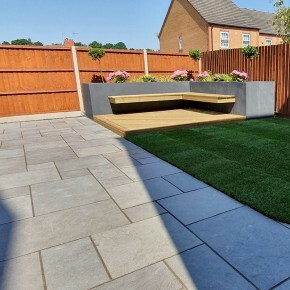 Blue Black Slate has natural rich dark tones and natural riven finish surface which makes it a very popular choice for any garden. 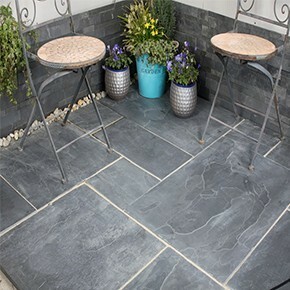 Slate originating from Brazil with rich grey tones and sawn edges for a contemporary look. 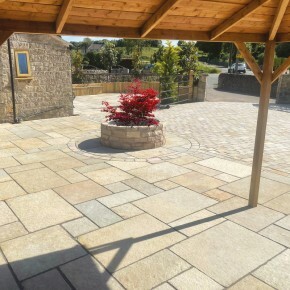 The colours are only a reference and because of the nature of natural stone, there may be slight colour variation with tones and patterns. 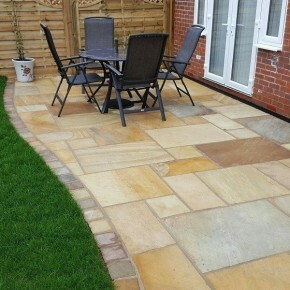 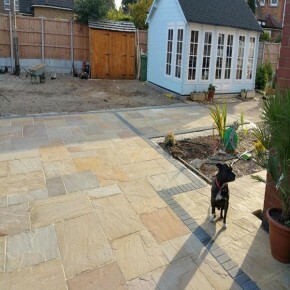 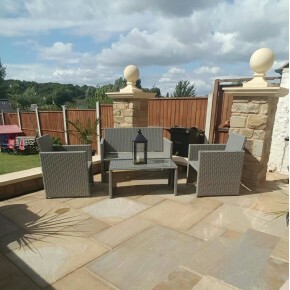 Autumn Blend Sandstone is a riven Sandstone with natural autumn shades of browns, greys and plums for Traditional looking patios. 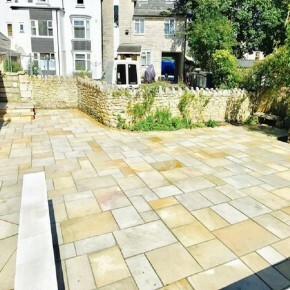 The colours are only a reference and because of the nature of natural stone, there may be slight colour variation with tones and patterns. 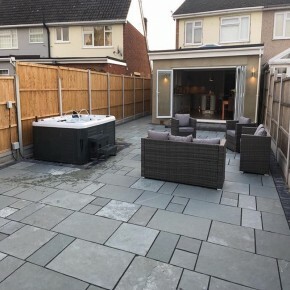 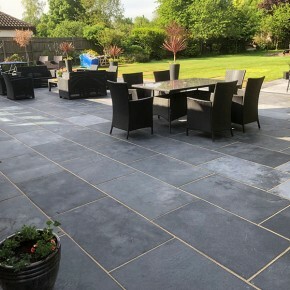 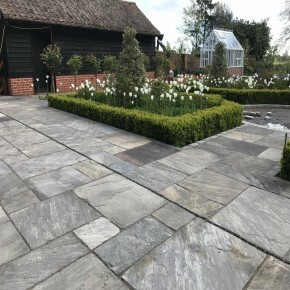 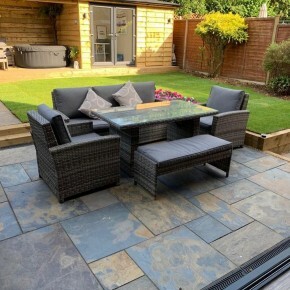 Black limestone Paving is a very popular limestone that is very dark charcoal greyish black in colour to achieve a Contemporary looking patio with straight sawn edges to add the wow factor. 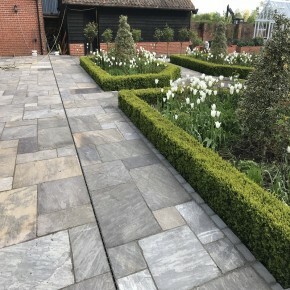 The colours are only a reference and because of the nature of natural stone, there may be slight colour variation with tones and patterns. 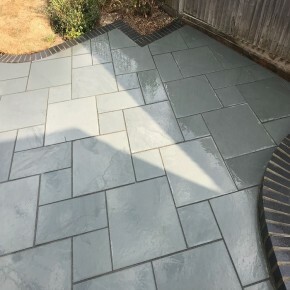 Slate is predominantly dark charcoal grey color with blends of black and blue. 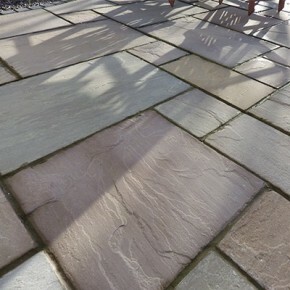 The colours are only a reference and because of the nature of natural stone, there may be slight colour variation with tones and patterns. 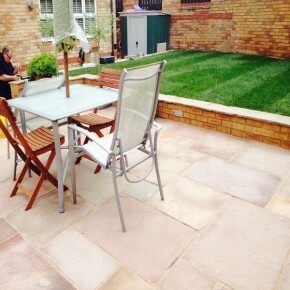 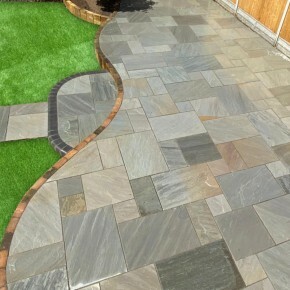 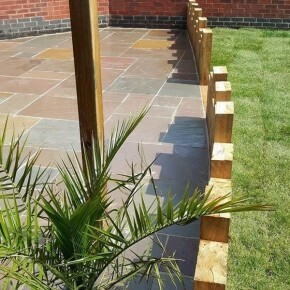 Rustic Slate is predominantly contains blends of rustic brown / coppers black and blue. 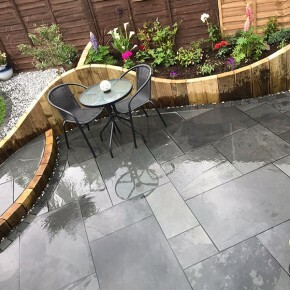 The colours are only a reference and because of the nature of natural stone, there may be slight colour variation with tones and patterns.